Last month, the most ruby-red of states was confronted with a Republican candidate it could not support. Many liberal commentators interpreted the election of Democrat Doug Jones in Alabama’s special election as the first win of many, looking ahead to this year’s midterms. Democrats are hoping for a seismic political moment akin to those that handed Republicans control of the House in 2010 and the Democrats the House and Senate in 2006. Roy Moore, the twice-removed former Chief Justice of the Alabama Supreme Court, lost the December 12 US Senate race in the wake of a steady stream of allegations of sexual misconduct with minors, all of them credible and deeply disturbing. Despite the allegations, nearly half of Alabama voters (48.3%) voted for Moore, and the election was considered a toss-up until its final hours. Still, in a state where Republicans routinely receive more than 65% of the popular vote, Moore’s defeat was seen as a significant victory for a Democratic party that is working to unify and reflect following the 2016 election. For Democratic officials and organizers, however, there are no obvious conclusions to draw from Alabama’s special election. Moore was an extremist even among Trump-era Republicans, a man whose political career has been defined by homophobia, transphobia, Islamophobia and virtually every other form of bigotry that persists in the modern GOP. As a predictor of midterm election results, Alabama is a similarly flawed arena. It is too Republican, too Christian, too rural, and too uneducated to be representative of the average battleground state in the 2018 midterms. Jones’ victory was certainly impressive, but it should not be extrapolated to predict results across the country. The current sentiments of Democratic spokespeople don’t reflect the need to temper optimism with an awareness of the hurdles they have yet to overcome. 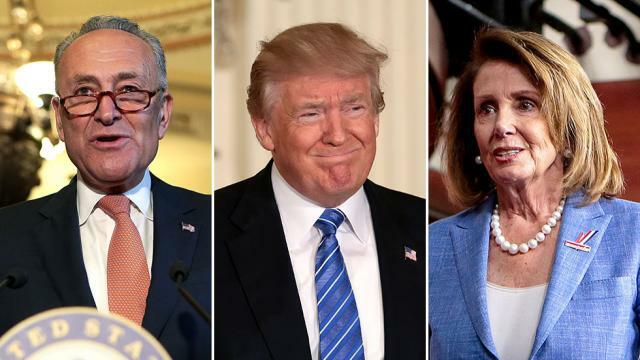 Democratic candidates and party officials are confident, convinced that the repulsion Trump has inspired in vast swaths of the American electorate will translate into hundreds of thousands (if not millions) of new votes for the party. In fairness, many of the election results in the latter half of 2017 seemed to support that hypothesis. The party secured some impressive victories in state and local races, including several “statement wins,” to use a sports analogy – like transgender candidate Danica Roem’s win in a Virginia House race over the state’s self-described “Homophobe-in-Chief.” However, the exuberant coverage of these wins risks blinding voters to the fundamental disadvantages Democrats face going into the midterms. This challenge is twofold: Democrats have to defend a high number of seats in the Senate, while flipping a high number of seats in Republican-leaning House districts. Of the 33 seats up for grabs in the midterms, 22 are held by Democrats, including ten from states carried by President Trump in 2016. Al Franken’s resignation means that another Democratic seat is open in Minnesota, which Trump lost by a surprisingly narrow margin two years ago. And while the Republicans are defending ten seats, including three vacated by retiring members, they don’t need to defend as many blue- or swing-state seats as the Democrats do. Because liberals tend to live in cities, because American politics has become increasingly polarized, and because voter-ID laws and gerrymandering have disproportionately benefited the GOP, the House will be difficult to win back. Of course, the chance that Democrats take back Congress is high, if history is any indication. Opposition parties have historically performed well during midterm elections, and President Trump is historically unpopular. But any talk of a Democratic landslide ignores the significant challenges the party faces. If the Democrats win big, it won’t be much of a surprise. If they don’t, that shouldn’t be surprising, either.